"Please, please, please" Can anybody tell us who and what was "James Brown"? 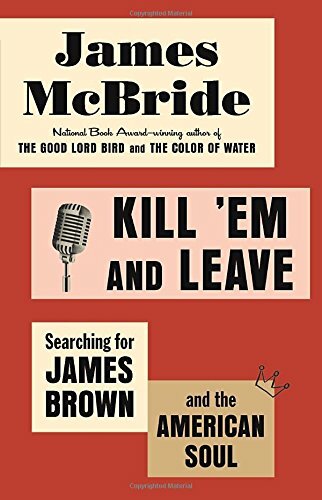 At last, the real deal: James McBride on James Brown is the matchup we ve been waiting for, a musician who came up hard in Brooklyn with JB hooks lodged in his brain, a monster ear for the truth, and the chops to write it. This is no celeb bio but a compelling personal quest so very timely, angry, hilarious, and as irresistible as any James Brown beat. It s a must for anyone, as JB sang it, Living in America. Read it, and your brain won t sit still. Gerri Hirshey, author of "Nowhere to Run: The Story of Soul Music"
National Book Award winner McBride dissects the career, legacy, and myth of the Godfather of Soul. One of the most iconic figures in pop music, James Brown is also one of the most unknown and falsely represented figures in American cultural history. . . . An unconventional and fascinating portrait of Soul Brother No. 1 and the significance of his rise and fall in American culture. " Kirkus Reviews""
National Book Award winner McBride dissects the career, legacy, and myth of the Godfather of Soul. One of the most iconic figures in pop music, James Brown is also one of the most unknown and falsely represented figures in American cultural history. . . . An unconventional and fascinating portrait of Soul Brother No. 1 and the significance of his rise and fall in American culture. Kirkus Reviews"